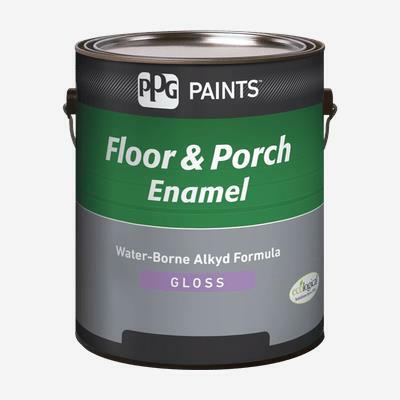 FLOOR & PORCH Interior/Exterior WB Alkyd is formulated to meet the performance requirements of the residential and commercial markets. Offering the performance of an alkyd with easy water clean-up, our waterborne alkyd formulas provide a bright, protective gloss finish. Ideal for concrete basement floors, walls, patios, decks, steps and porches. Please use caution; do not use on surfaces that are frequently damp. Not recommended for use on garage floor or carports that are subject to tire traffic.